Now, my knowledge of this festival is next to nothing. I only discovered the proceedings of this a year ago, when I was on my way to a meeting. My curiosity peaked so high and I was annoyed the rest of the day at how I missed it. All I knew is that it happens yearly, and when I got there, I had no idea what to expect or anticipate. 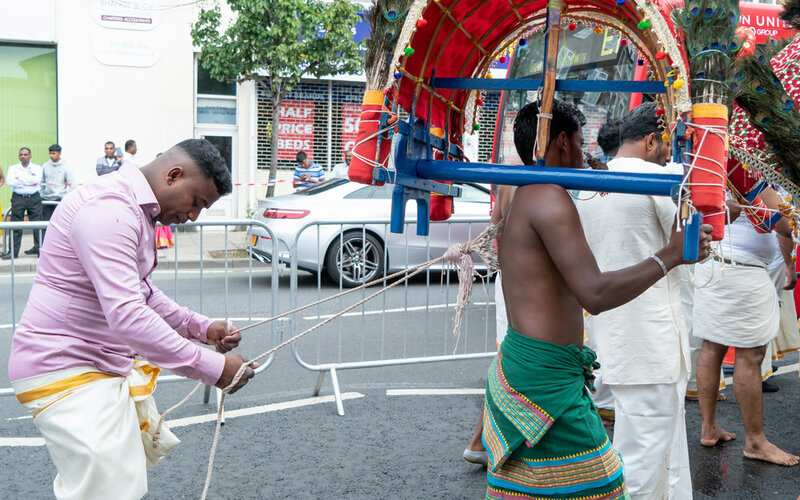 With the help of my friend Karan & his family (as well as plenty of additional Googling) I learn that Rathajatra is a ceremony celebrated amongst Hindus. 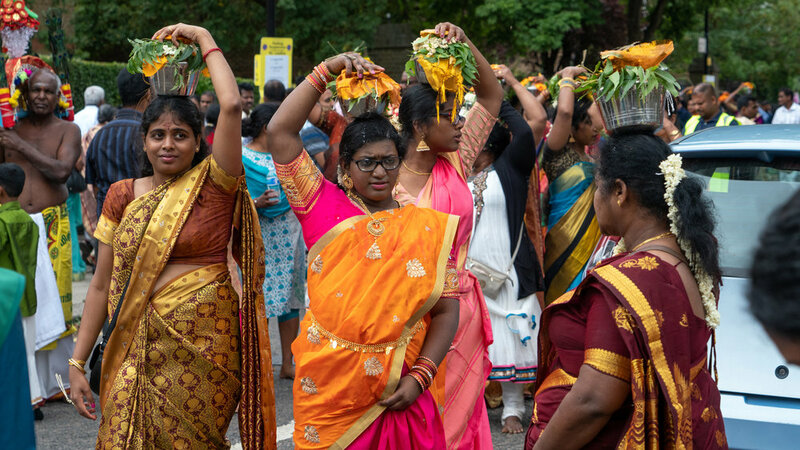 The festival attracts millions worldwide, to commemorate Jagannath visiting the Gundicha Temple, by performing various rituals as a form of Nerthi - an offering you make in return for blessings. 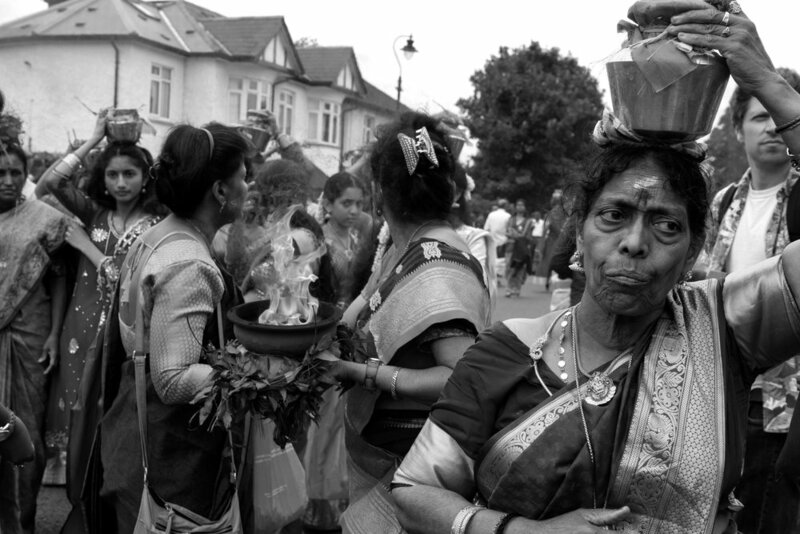 The procession involves a public proceeding of Jagannath, Balabhadra, Subhadra, and Sudarshana in chariots. Now I only saw half of the said chariots (I wish I knew which chariot I saw exactly), however the other things I saw will stick with me forever. 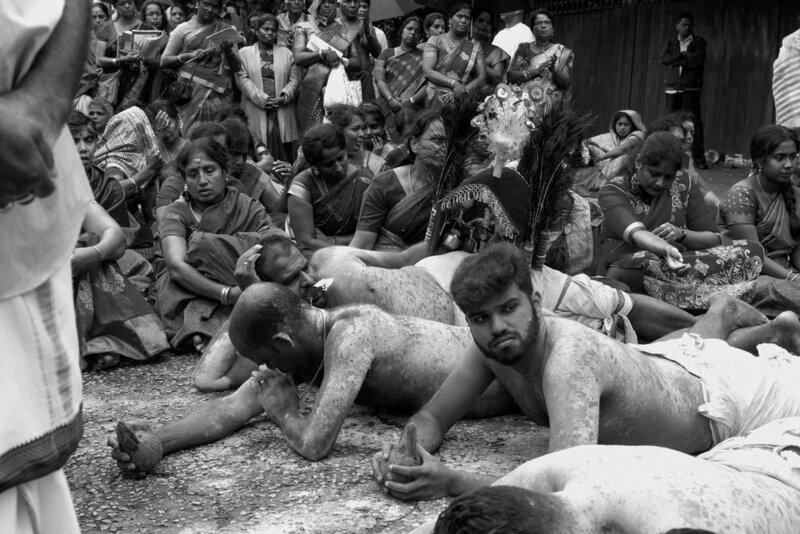 The first thing I saw is a ritual called "Kaavadi" - which is a dance that involves hooks pierced into the skin of a man's back. 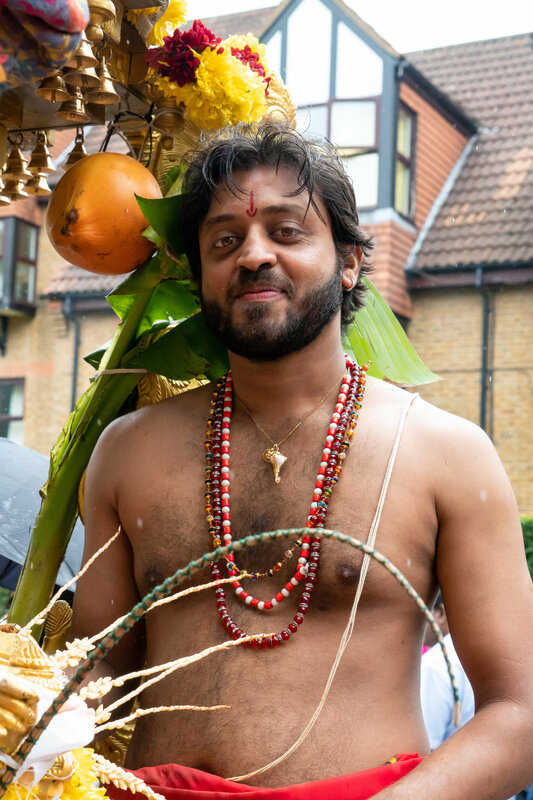 This is also done for another Hindu festival "Thaipusam". 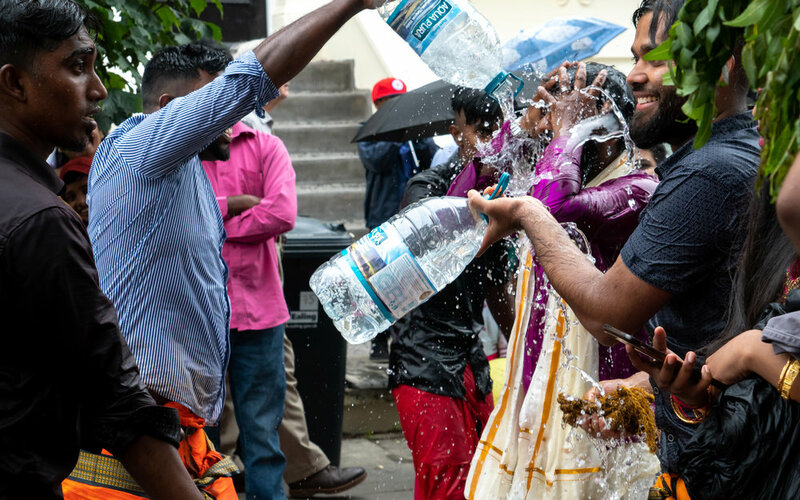 I assume this may vary in different areas of the world, but from what I've read, the men who participate in this ritual fast for 4-5 days before the main event. 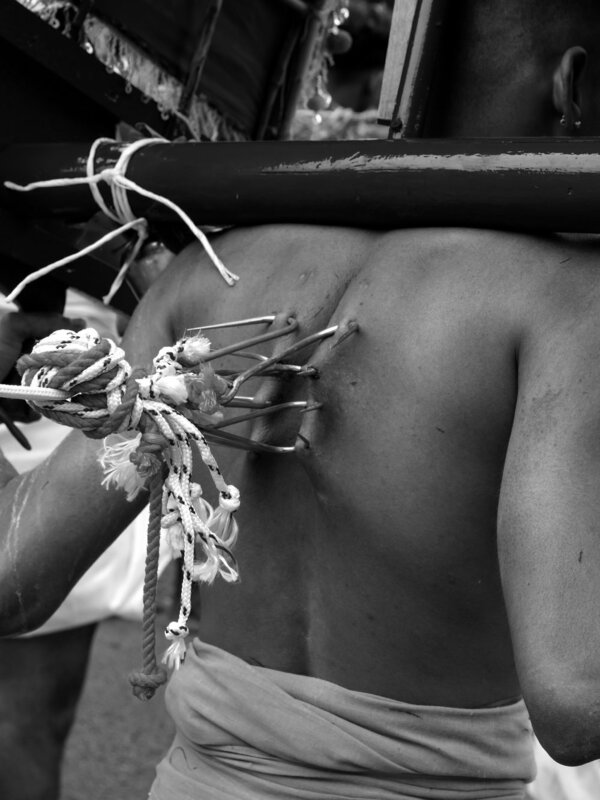 This is said to be done to mentally prepare for the pain that comes when the hooks are pierced into their backs. 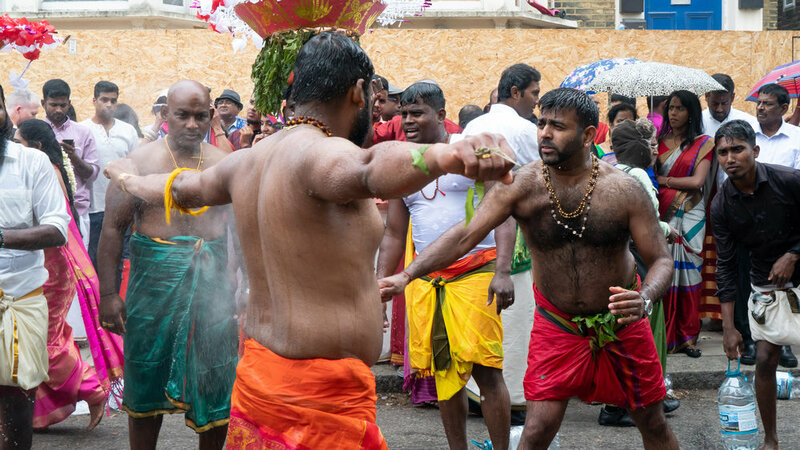 The fasting is said to be necessary, as the process of piercing the hooks into their backs is allegedly so difficult, that they have to use a hammer at times. 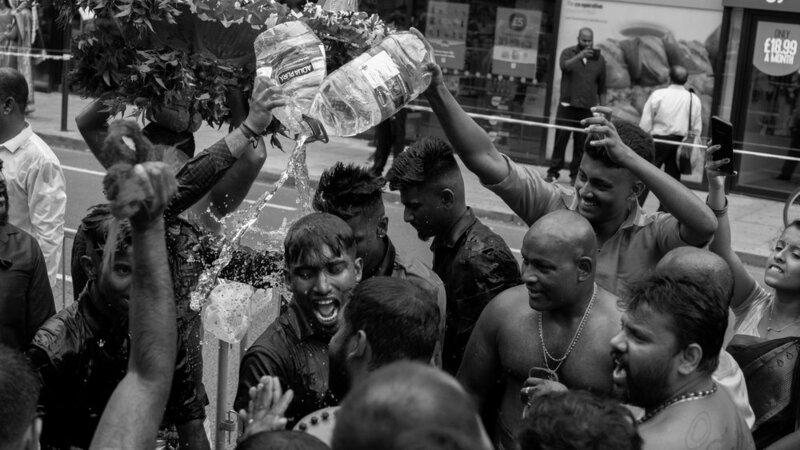 Next, I saw a ritual called "Saattai", which consisted of men whipping each other with these long, thick, wet ropes. 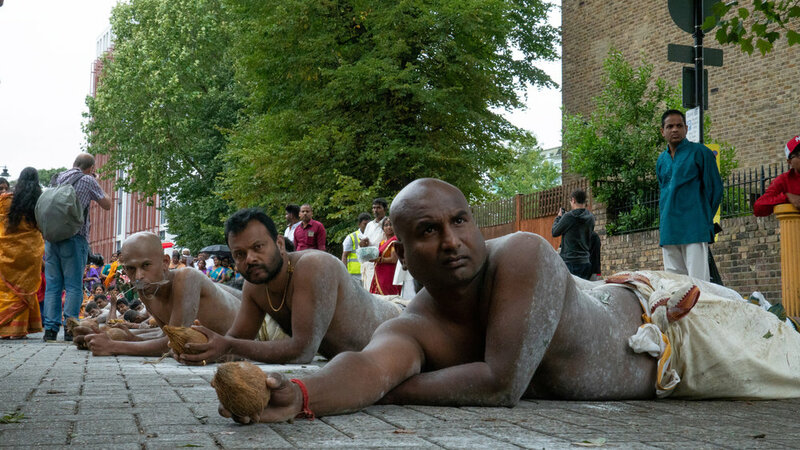 Much like Kaavadi, both of these rituals are a way for Hindus to show their devotion to their Gods. 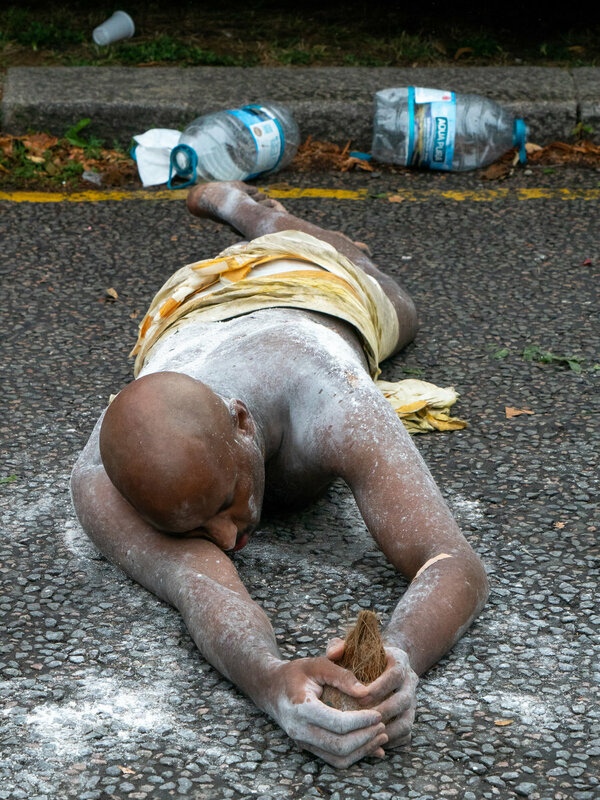 The last ritual I saw, is called "Prathadai". 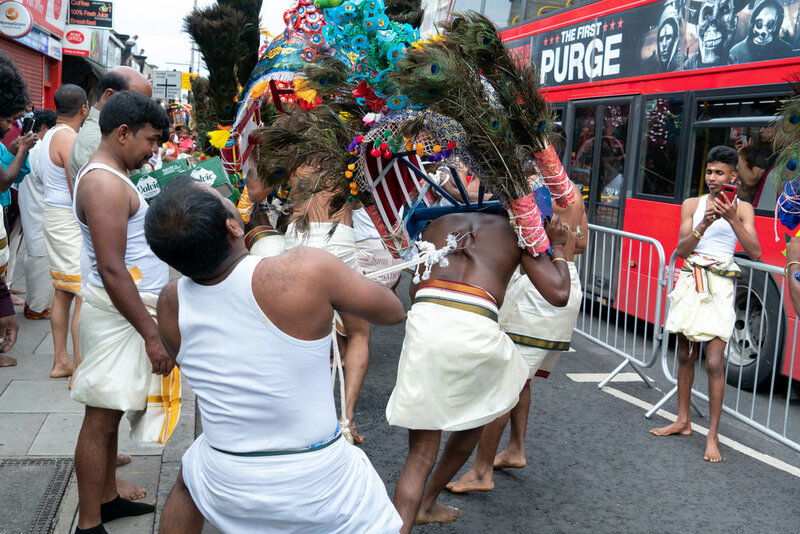 The final chariot, there were a string of men who were laid on the floor, and would roll behind the chariot as it moved as a show of respect, and once again their devotion to God. 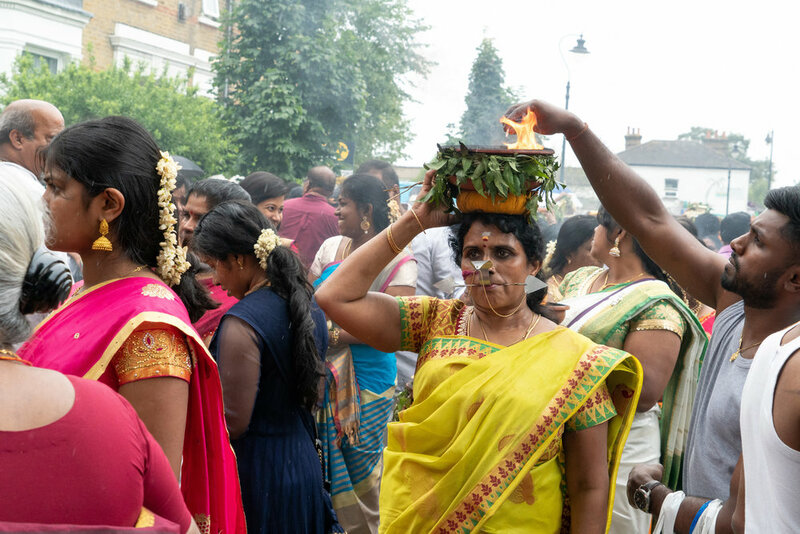 There were also a parade of women, dressed in a variety of vibrant colours, carrying pots - some of which were on fire. I also did a series of portraits whilst on the scene. 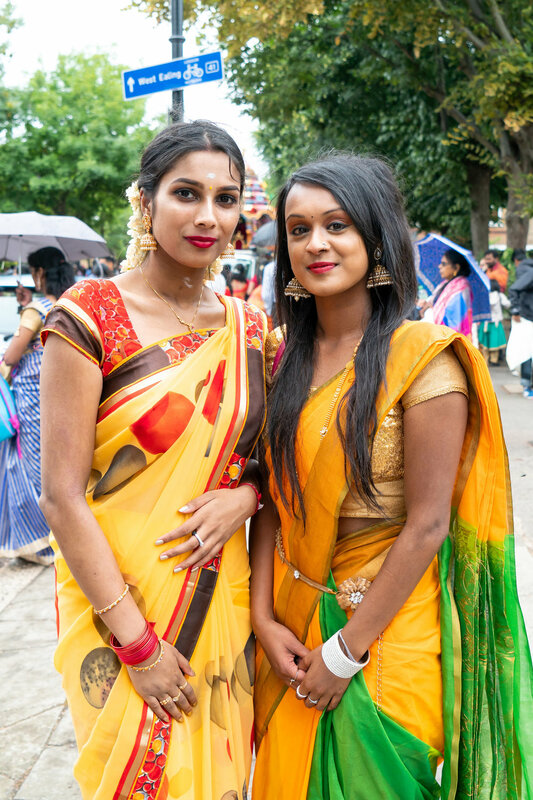 It is amazing to see people look so vibrant, colourful, and beautiful. 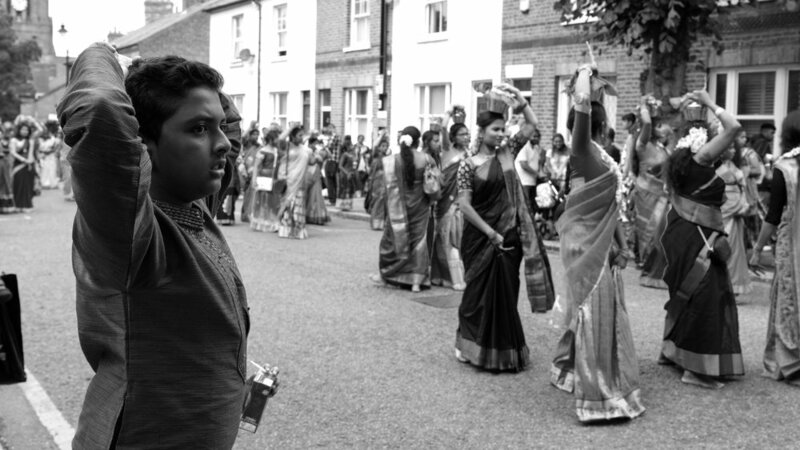 And finally - I also got some casual, candid scenes of the festival. I wish there were more I could say about this festival, but my knowledge is still sorely limited. 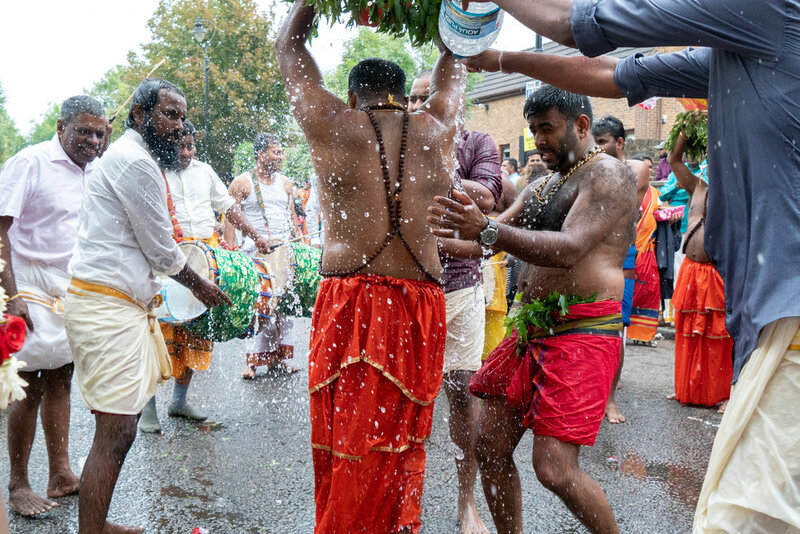 However, with this being the first non-Muslim religious festivity I've witnessed, it is really fascinating to see how Hindus celebrate an occasion in their religious history. 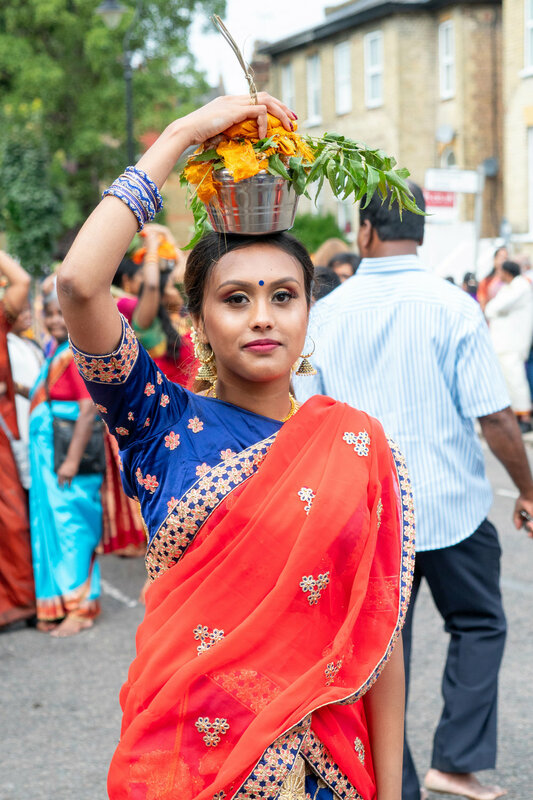 It's fair to say that it has inspired me massively to visit and explore such festivals and cultures, and experience their celebrations - but I don't see that happening any time soon. Before I bring this article to a close though, I've re-edited some of my favourite shots above in black & white. I can't explain it, but I find a monochrome edit portrays the scenes in a completely different atmosphere. To me, it looks & feels more historic and powerful.